Sentinel.la is not just another startup supported on the open source community mattress. It’s a live proof that LATAM’s talent is playing global. Founders Memo and Paco have been closed to OpenStack foundation over the last four years. They have a HUGE experience operating it. Sentinel.la has launched its beta last week. You would identify the value of the solution just seeing their posts and videos. I will point out some of the key bullets of their offering in the following lines. OpenStack is an amazing platform. However, most of the users are just starting with this bunch of projects. Liberty is offering a really nice dashboard experience. 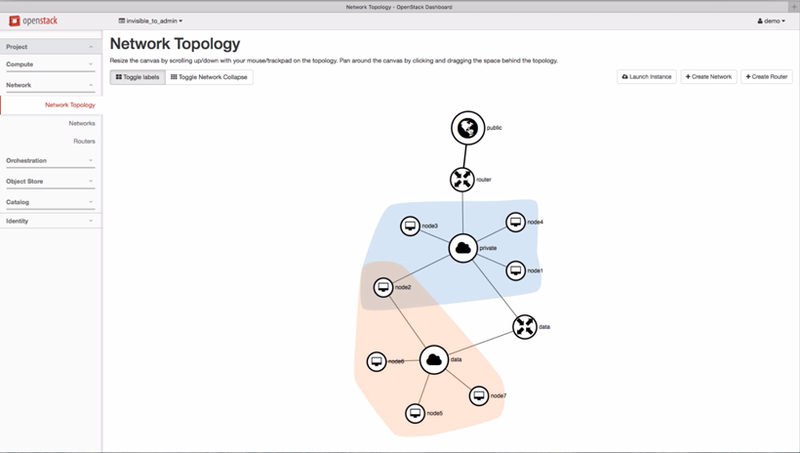 Horizon took what is using to display orchestration ongoing process (heat) and reproduce it into the “network topology”. Just let the next picture get you hooked. Those events can be quickly managed. Even before users start to call Help Desk complaining about it. Understand what is happening with your users is priceless. Install OpenStack is so complex, even for experts. Imagine how hard could be operate it. Get eyes on what is happening behind will make your service more responsive and agile. If you don’t believe me, just check the next over the last openstack summit in Tokio: No Valid Host Was Found: Translating Tracebacks by Rackspace (James Denton, Wade Lewis, Sam Yaple). And tell how many guys in your team can traceback an issue like this. These guys state, “Deciphering a traceback is a bit like reading the matrix”. Good way to size the challenge that means deal with it. This example shows an error message: “No valid host was found. There are not enough hosts available”. What that means? That means you need to dig deep among different openstack’s logs to get the root source of the problem. Sentinel.la server’s view bring tools to check log’s messages out from different services into only one panel. Push notifications that keep aware of any error from any server. Showing the last alerts that you get from all your servers. Arrange your servers into different clouds and OpenStack versions and see them how they are display in a map. Showing global counters of your availability and services. Last alerts panel and services status are really useful to dig into server’s issues. A snapshot on the services that are running at every server. On-demand resources will help your business scales forever. Sentinel.la doesn’t own any piece of infrastructure. 100% of their business is on the cloud. I am not talking only about compute. I am sure it took some time to study the best of the art regarding databases, platforms, agents and try to move all on a PaaS strategy. Starting from a agent based on open source project tourbillon. Using InfluxDB to master metric storage management. Leverage their scalability and costs through PaaS offerings for MQSeries and MongoDB. OpenStack services on a Time-Series database: A post that describes why is very important to choose specific database tech to manage time-series data. I would think NoSQL could be a nice resource that. Well Paco shows why NoSQL isn’t good fit for this case. InfluxDB makes the perfect match in this case. Something nice that’s been copied from the OpenStack Monasca project architecture. A big great step has been to launch the beta version last week. There are many things to improve yet: Make agent identify openstack services by itself, extend capabilities to other projects like keystone, cinder besides nova and neutron. No doubts you would make those ones up. You are on the right way to succeed for sure. Paco/Memo, congrats for the courage to do something different. I hope more people take this as an example in LATAM to dream BIG!